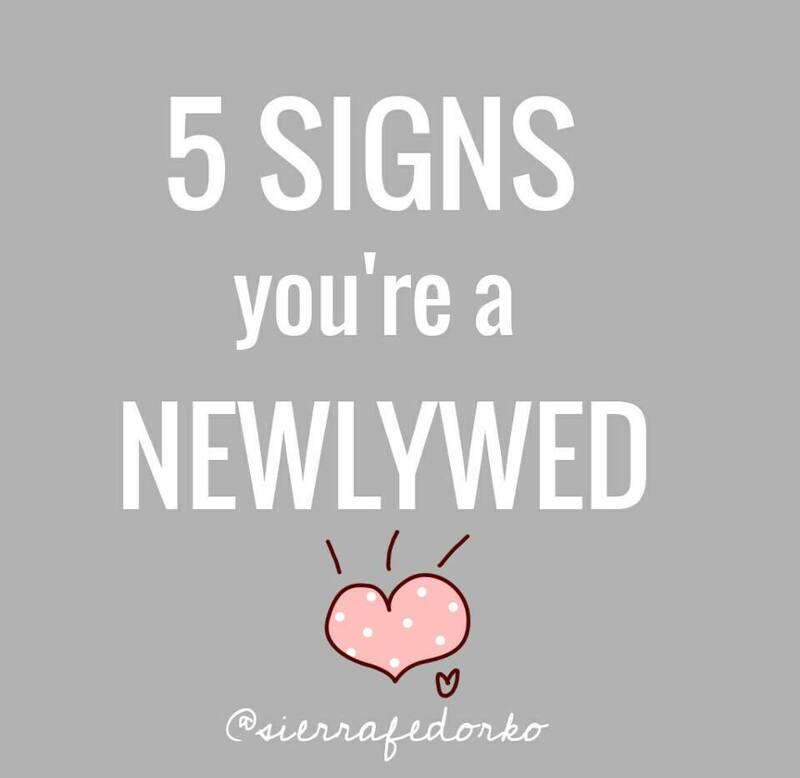 I usually stay away from the list posts that are everywhere, but I’ve noticed some funny things that happen when you are a newlywed. So I wanted to share! I’m thankful to have met a couple girls that were married around the same time I was married. I’m even more thankful that we can relate to each other in so many of these things. It’s awesome. Single women need friendship and support, but married women need that too! But anyway, here are 5 things that are pretty much blaring signals that you are a newlywed. 1. You save extra fast food napkins for later use. Look, you save money where you can. You keep all the extra napkins. I know what you’re thinking. Just stop going to fast food places, you can save money that way. Hey, we don’t go all the time, OK?! But when we do go, we just hope the kind worker puts a few extra napkins in the bag so we can make use of them later. And when it happens, we save them! 2. There is limited seating in the home. We proudly use hand-me-downs, junk made into treasure, surplus furniture lovingly gifted by family members, and thrift store finds (but even then, you gulp and cringe to spend $20 bucks). Many times, the furniture look will be rather eclectic. We weren’t trying for that coolness, but it happened….because that’s what was free or basically free. 3. You and your friends laugh a lot about the wedding fiascoes that went down. It may not have been a big issue. It may not have been traumatic. But there is likely something(s) about the wedding day that didn’t go as planned (can your really plan wedding…?? ), so you now have friends with which to compare and contrast those humorous stories. One time, I spent a couple hours in a coffee shop with another newlywed friend and we were just laughing and laughing about the stuff that was unexpected and imperfect. We smiled at the sweet memories too, but oh how we laughed at the funny stuff, the imperfections! 4. You stay way away from the word—dare I even say it?— BABY. I think I’m going to have a b–(well-meaning adult interrupts here), YOU’RE HAVING A BABY!? NO. NO. I’m not having a baby. I was going to say something else entirely. Never mind *sigh*. 5. You are proudly collecting the “horror” stories that you will be able to tell in the future. Not actual horror stories, you know. I’m talking about the house, the job, the car window, the old truck, the quirky shower, the bad plumbing, the moody electric. You know, the kind of stories that start with…. when we were just married…. I have those stories now! And it makes me so happy. I’m collecting quite a few and I can’t wait to tell them when I’m 50 years old or so. I may not be able to wait that long to tell them, but I’m running a pretty good collection and it makes me quite happy.